Good afternoon! I hope you are all having a great Tuesday! I am back today for yet another Two for Tuesday combo. 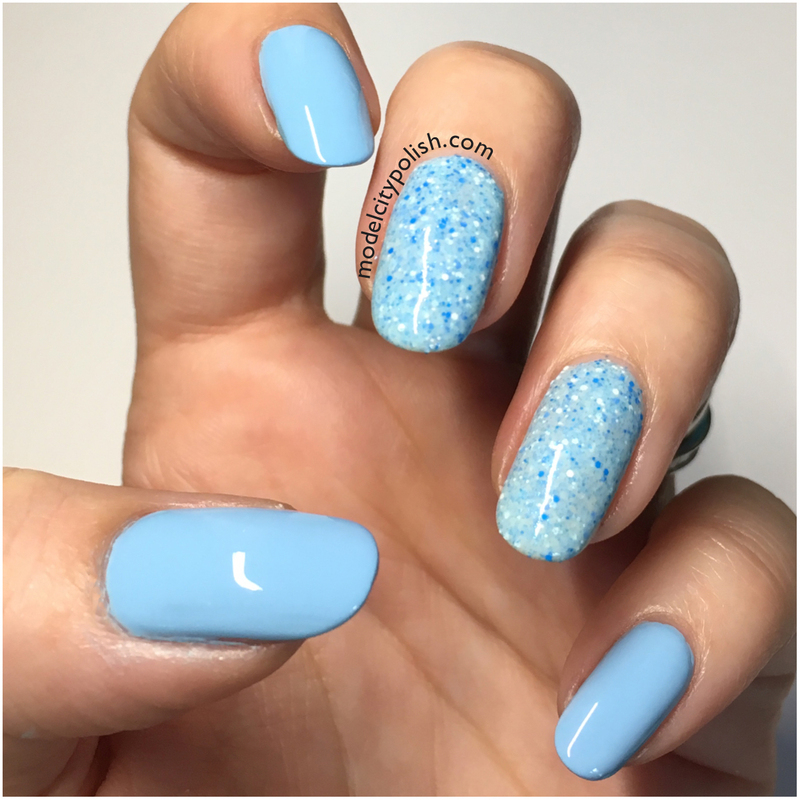 Today I decided to go with my love of blue and create the perfect sweet combo. 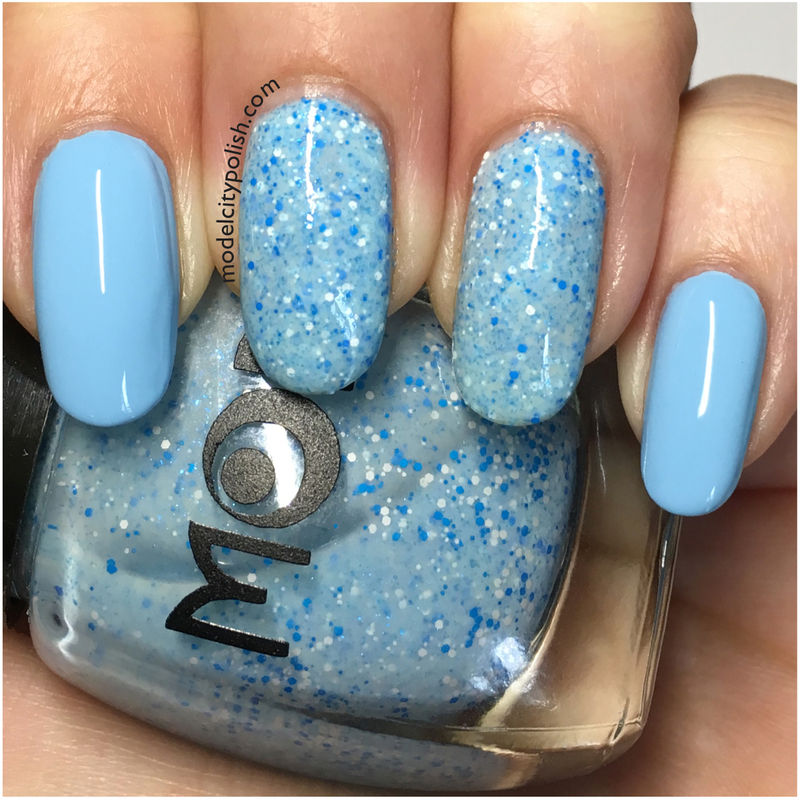 A few years back I picked up the Powdered Confection Collection from Mod Lacquer and is still one my favorite collections. That being said, I tend to use them lightly so that I don’t run out. Pairing them with contrasting colors is the best way to go. For today’s combo I started with three coats of Blueberry Bliss by Mod Lacquer. I then paired this with a gorgeous baby blue creme. Jeanne from Julep was the perfect fit and with just two generous coats, I had full coverage. PERFECT match!! This makes me feel in the mood for a snowy winter day!! 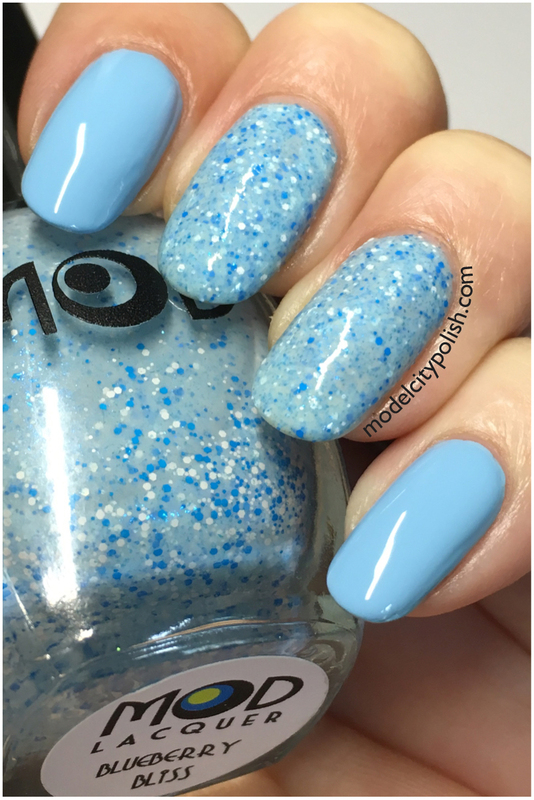 That baby blue is stunning! 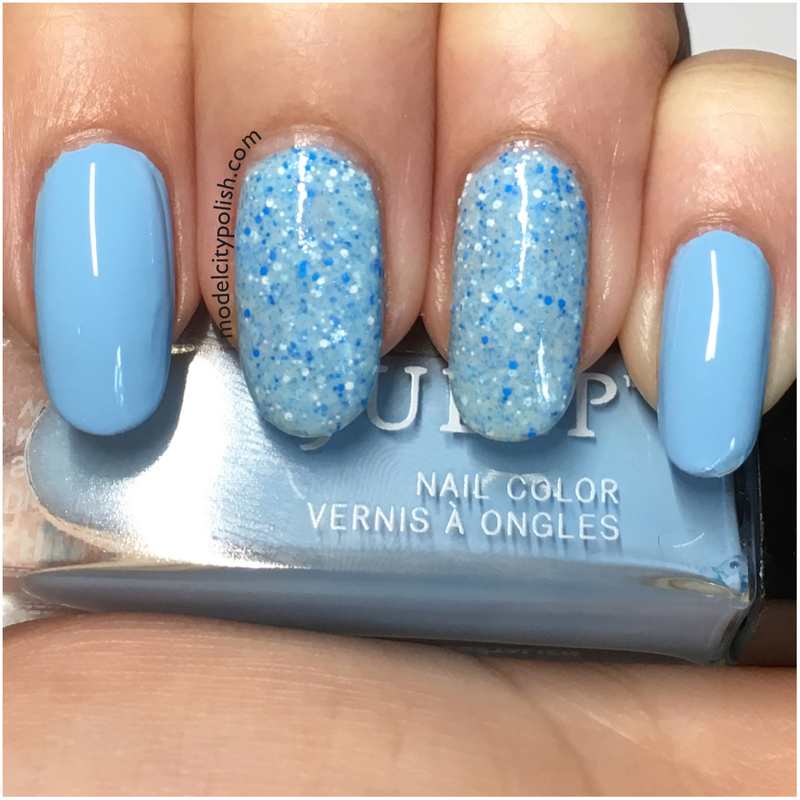 I can’t believe it came from Julep — I’ve received a box from them in the past and wasn’t impressed with the polishes. Way too sheer! 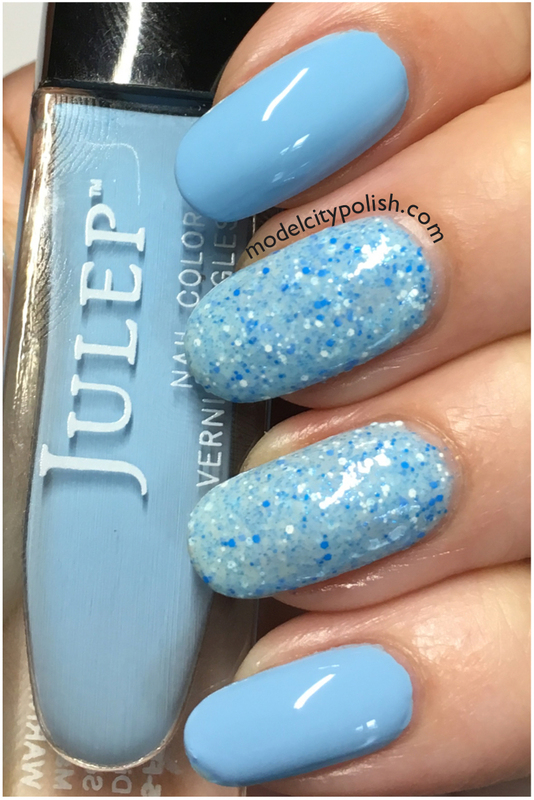 Julep is certainly hit and miss, but that being said….I have some I LOVE!!!! Gorgeous pairing! I love that shade of blue! 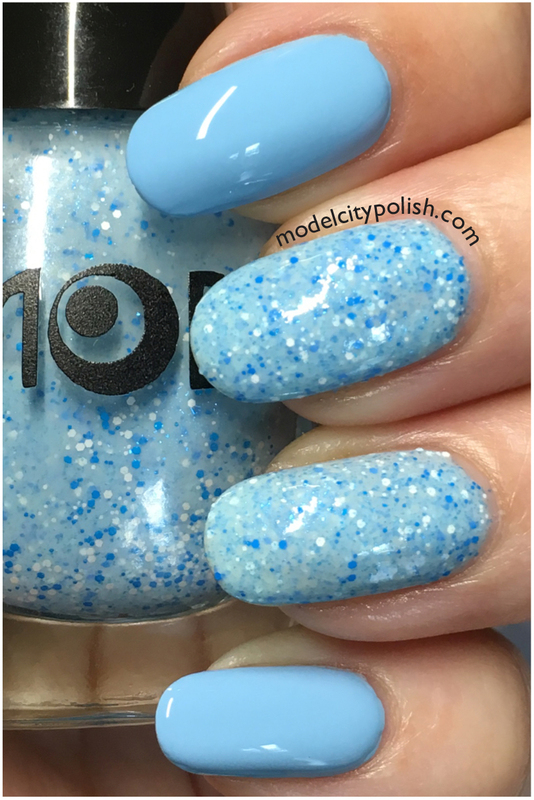 I love baby blue, and the sprinkly polish is just perfect for the Summer. this is great! And it matches my girls’ softball team colors!